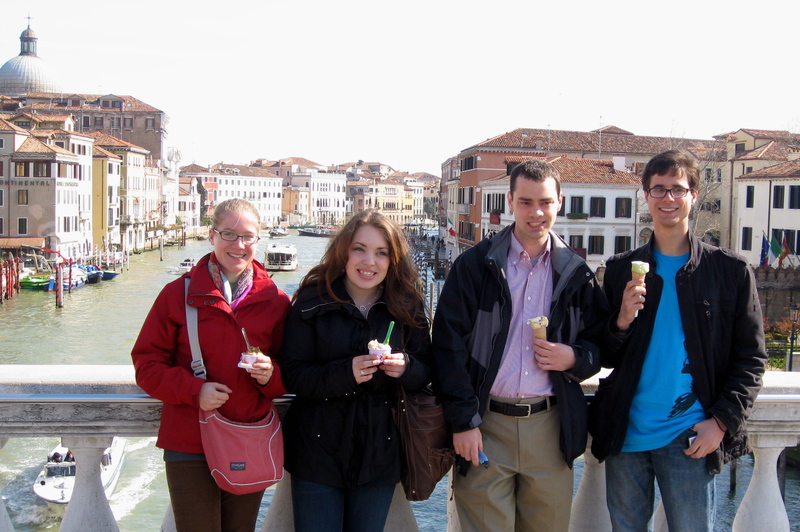 All the guidebooks say that Venice isn’t known for its food, but it is in Italy and therefore gelato, pizza, pasta, wine, and coffee are abundant. 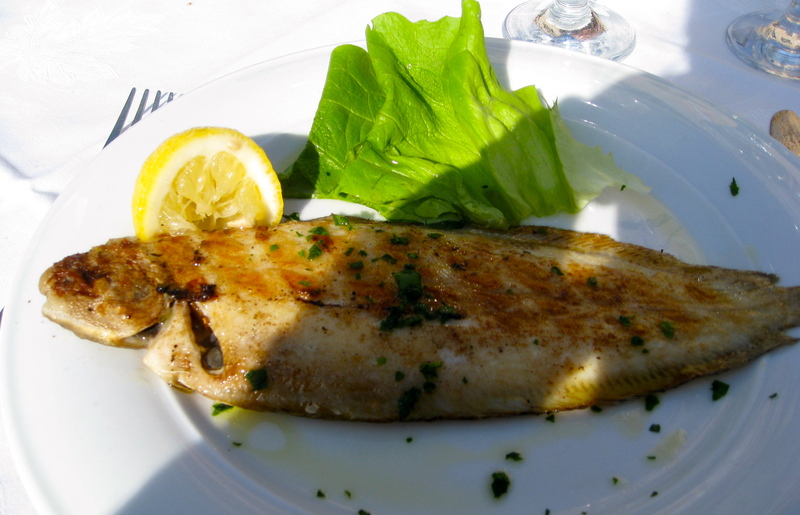 This little entry will showcase some of my favorite culinary moments in Venice. Every morning we had vouchers from our B&B for breakfast at a café around the corner. 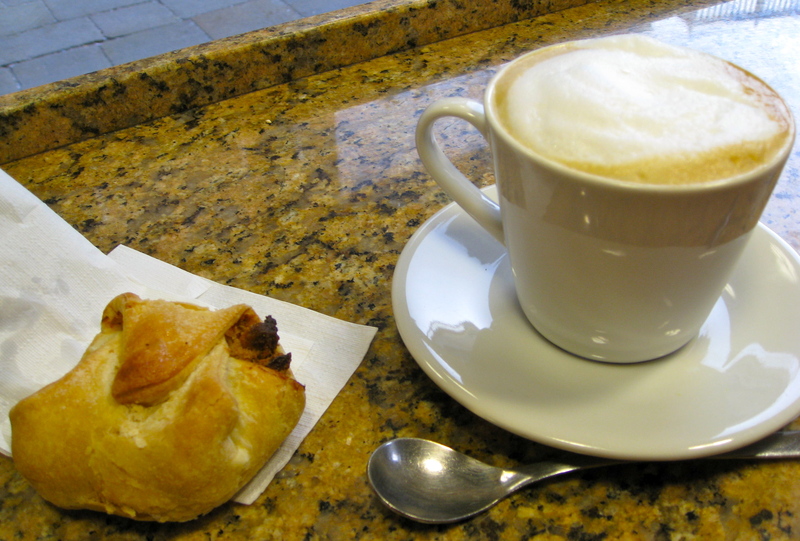 The food was simple – a fresh croissant and two rolls with butter and jams – and the lattes were delicious. We often stopped for a second latte/cappuccino/macchiato mid-morning – Kate and I couldn’t get enough delicious Italian coffee. 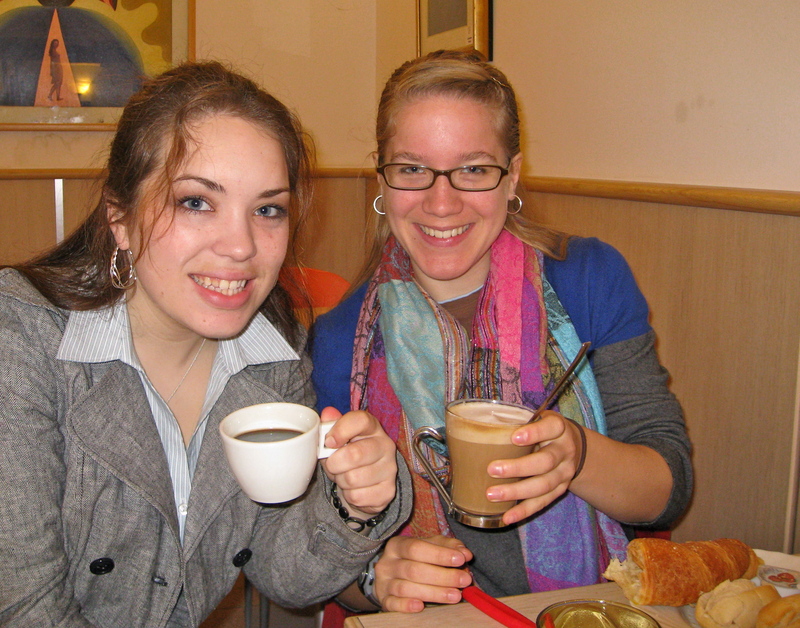 Kate and me with our first coffees in Venice! On both Monday and Tuesday we found ourselves eating long lunches outside in the sun and sharing a bottle of white wine. 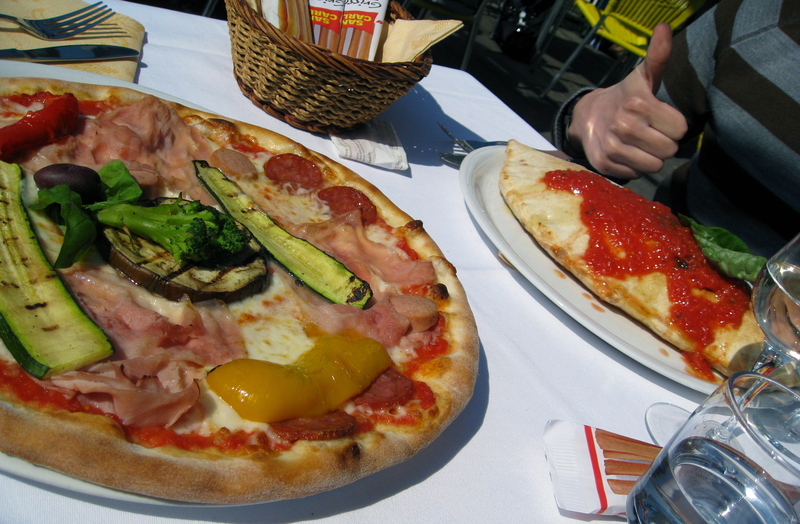 Monday’s lunch was a pizza/calzone lunch with pinot grigio across the water from Giudecca. 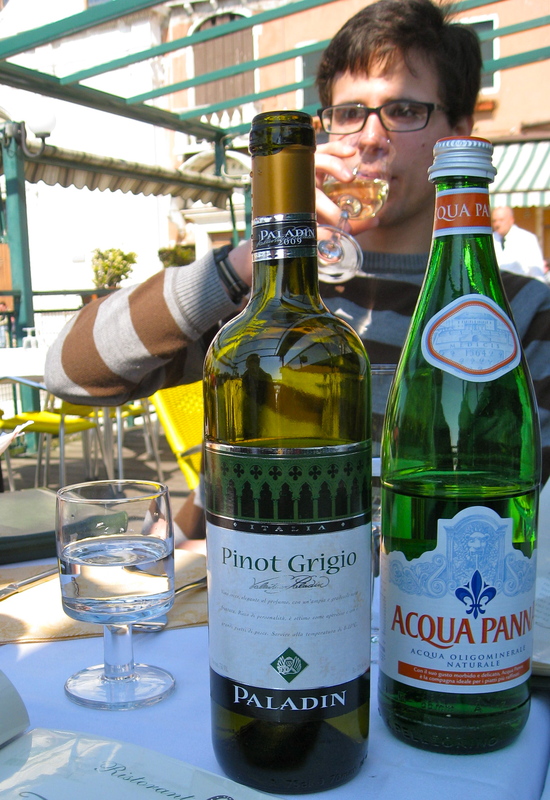 Tuesday’s was a “tourist menu” lunch – seafood pasta, filet of sole, salad – and a fruity white wine on Murano’s main canal. 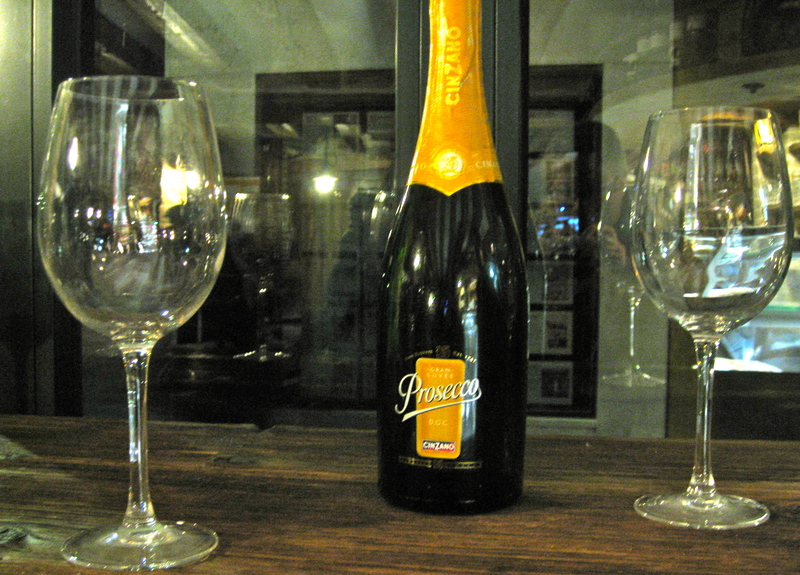 Our dinners were less impressive, but Monday night was capped by a shared bottle of Prosecco (when in Rome! I thought of you, Grandma) at a cute wine bar near our B&B. 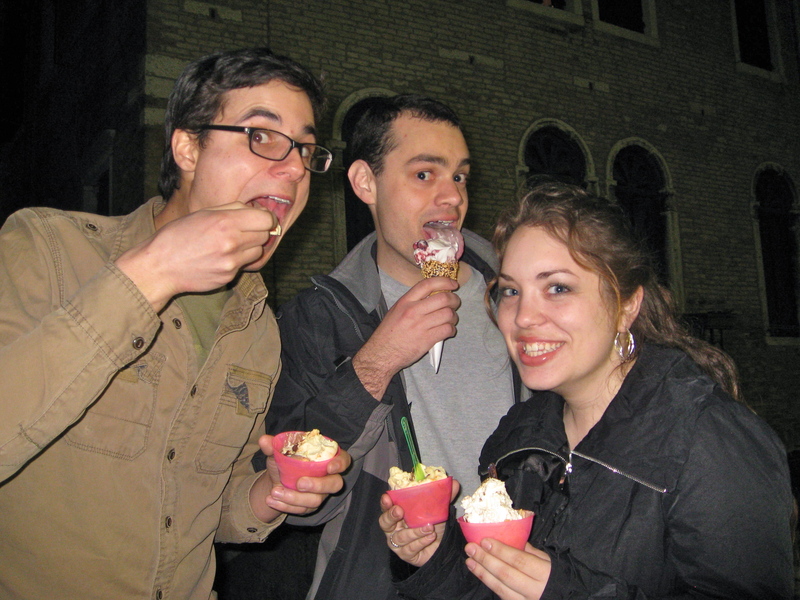 But I’m missing one of the best parts: gelato! We had it once on Sunday (I had orange cream and chocolate hazelnut); twice on Monday (fig-walnut and amaretto, then fig-walnut again, I think); and thrice on Tuesday (coffee, then hazelnut, then milk chocolate and hazelnut). Yum. What’s great about gelato in Italy is that it’s relatively cheap (about 1 Euro per scoop), the scoops are small, and gelaterias are everywhere! This entry was posted in food, pictures, travel on 28.03.2011 by taplatt.